As one of the world’s biggest wristwatch manufacturers it is no surprise to see Casio pitching into what is a lucrative market. The smartwatch concept may still be in its infancy, but this is a route that was always going to be taken. We are more dependent upon communication on the move than ever before, and the obsession with portability has brought about a wealth of gadgets and devices of many kinds. The new smartwatch from Casio, dubbed the GBA-400 G-Shock, slots into the popular G-Shock range, and is an interesting addition to one of the fastest growing markets in the technology field. Where many smartwatches are aimed at runners and other athletes who use them as pedometers and for other informative uses, the GBA-400 G-Shock smartwatch concentrates more squarely on the entertainment side of things, and does so with some style. 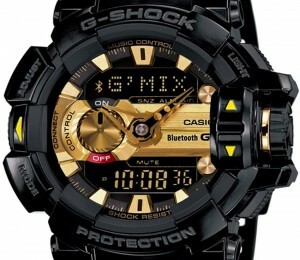 The familiar G-Shock style is one that has met with many fans across the years and this model should be no exception. Available in a choice of colors and featuring a wealth of interesting features, this watch is particularly interesting thanks to its musical capabilities, which will surely appeal to the range’s target audience of younger users. The GBA 400 is a capable device that utilizes the well-known SoundHound app for music recognition. Bluetooth enabled and able to use both iOS and Android apps, it can also control other music devices remotely, adding to the appeal. 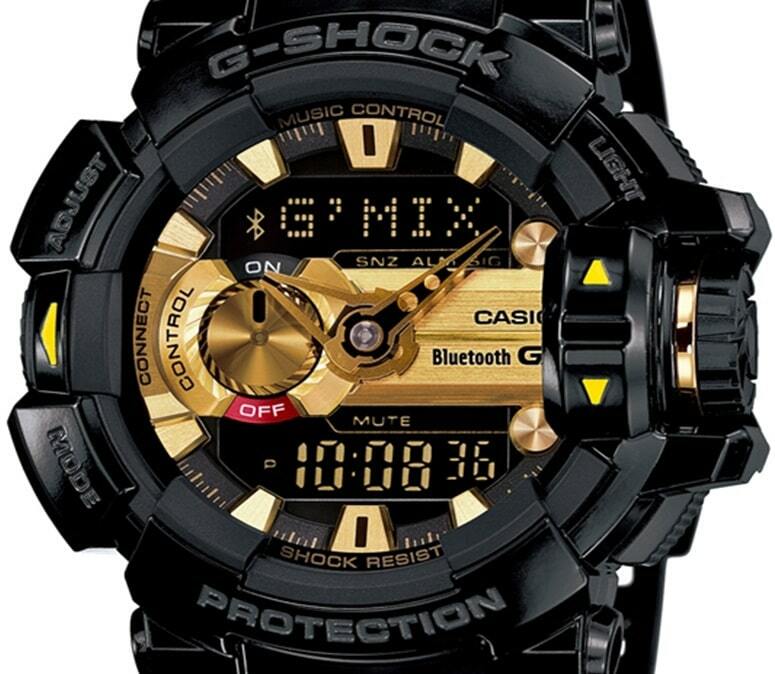 Robust and well made, the G-Shock range is also water resistant and is designed to be shockproof. Music information will be shown to the wearer on the easy to read and familiar screen, and the watch has further features that make it a well-priced alternative to some of the many rivals in the smartwatch world. Casio relies upon its very popular G-Shock range and rightly so; this is one of the trendiest range of watches in the world, and one that appeals across all ages, sexes and genres. A welcome addition to an already busy market sector, there is no doubt that fans of the G-Shock design will warm to this new model, and it is sure to make a mark on a market that features some very impressive makes and models. Stylish, modern and capable, it may not have the full features of some rivals, but it is a tried and tested design that will win many friends.